Akshara's Library Programme aimed at improving the learning outcomes of government primary school children by providing them with access to books and reading. In modern societies literacy and specifically reading literacy, is a pre-requisite for success in life. Studies emphasise the importance of reading for pleasure for both educational as well as personal development. These studies show that promoting reading can have a major impact on children/young people and adults and their future. Reading is essential for children to be proficient in any school subject. School libraries have been a subject of policy recommendations for a long time, but a visit to a Government Primary School will reveal that this has not been translated into reality at the ground level. Most government schools in Karnataka have libraries, but lack age-appropriate, attractive books and a working process. Teachers are not trained librarians. 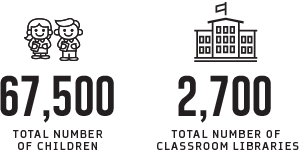 In 2007, Akshara Foundation started its Library Programme as a school library in a hub-and-spoke model. It is Akshara’s belief that a library or a special place for independent reading will foster positive reading habits and attitudes, in addition to giving students ready access to a wide variety of texts. Towards this end, we set up a network of libraries in schools and communities to encourage and sustain a reading habit among children. This is also a key part of our strategy of improving learning outcomes among children. The Classroom Library (TCL), is an Akshara innovation which was started in 2014 to address the deficits in government schools and to build the essential, cornerstone tool of reading in children by providing them with a library in the classroom. A TCL kit is provided in each classroom which contains foldable book cases. Each case can hold around 120 books; age-appropriate, graded books in multiple Indian languages including English, and histogram charts. Teachers are trained in the usage of the kit and the histogram and on how to manage simple and effective processes. Reading habits of children are tracked using the histogram. The number of books borrowed per child is recorded on a daily basis using the Reading Histogram chart and each time a child borrows a book, the teacher marks it against the level of the book borrowed. Baseline and end- line assessments of the children are conducted to measure the impact. Akshara is collaborating with the government to set up the library infrastructure in the classroom. A TCL unit is an asset in a classroom, supporting the curriculum, and an aid and incentive to learning. Many local NGOs and organisations have approached Akshara for training in the library programme and the mentoring of librarians. 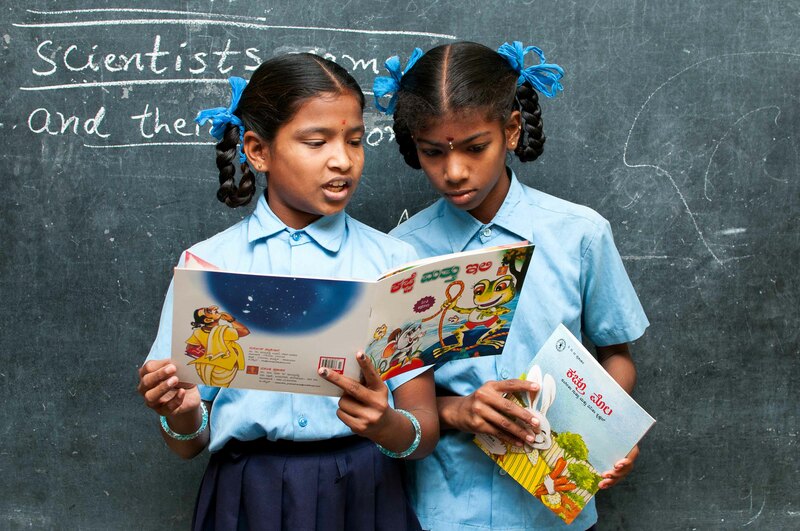 Akshara is now supporting them in setting up libraries of their own by providing the knowledge and know-how. 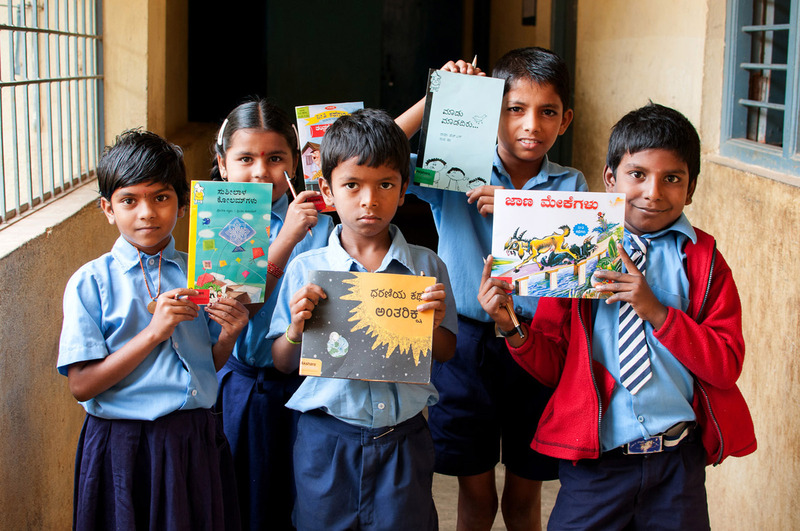 As part of the Rotary India Literacy Mission, over 3100 Rotary clubs in India are setting up 1,500 Classroom Libraries across the country, based on Akshara’s Classroom Library framework.